Nikon D70 with SB-800 flash in action. 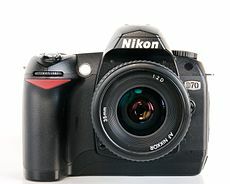 ↑ "Nikon D70 Review". Digital Photography Review. Dijupuk 2008-11-22. Without an AF motor (needs lenses with integrated motor for autofocus).